Mitochondria are organelles found in most of the cells that make up most forms of life on Earth. Their task is to generate the cell's supply of chemical energy, earning them the nickname 'cellular power plants.' They are also important for signalling, cellular differentiation and cell death, as well as the control of the cell cycle and cell growth. 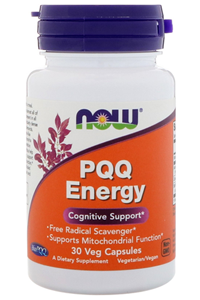 Pyrroloquinoline Quinone, or PQQ for short, is a B vitamin-like enzyme co-factor that helps to protect mitochondria from oxidative stress. It also promotes the generation of new mitochondria within cells. 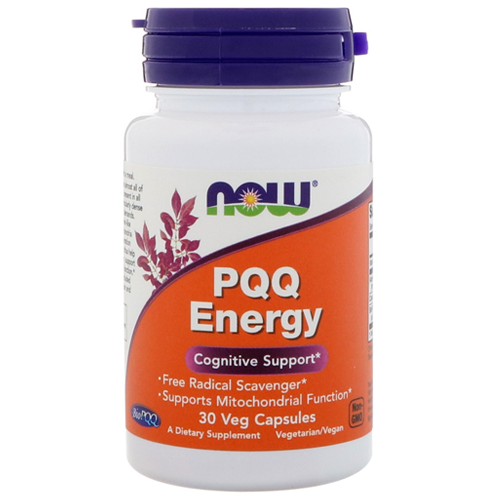 These abilities lend PQQ a variety of powerful health benefits. Now Foods PQQ utilises BioPQQ and is a GMP quality assured ans vegan food supplement. For adults only. Consult physician if pregnant/nursing, taking medication (especially warfarin or acenocoumerol), or have a medical condition.